Big upgrades for this winter on Castelli's Nanoflex 2 Bibtights are the new Kiss Air Seat-Pad and the Castelli wordmarks, which are now reflective. Nanoflex fabric is warm and stretchy just like Castelli's thermoflex fabric. However unlike any other Thermal or Roubaix style fabric, Nanoflex is water resistant. The simple yet elegant design, minimizes seams for greater water resistance but the essentials are still there. 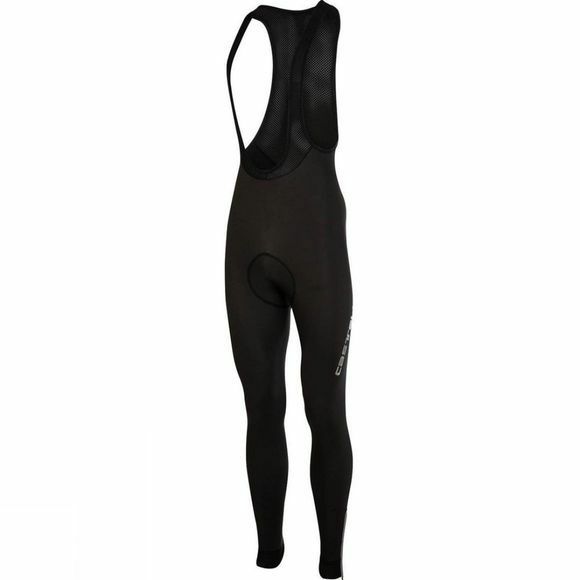 The Castelli Nanoflex 2 Bibtights are ideal for cool damp days, on the bike.